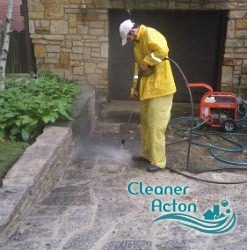 You feel like it is time to get your patio and driveway professionally cleaned? You need to call our company for help, because we are an experienced and renowned cleaning services provider for Acton W3 and the area, and we have the most skilled cleaners who can take care of your home’s exterior. We are offering you to get help from our amazing and unmatched professional cleaners, who are guaranteed to leave you with outstanding results. You will get many compliments on your brand-new looking driveway and patio. 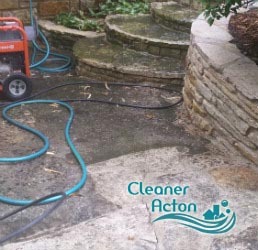 Our cleaners will clean your patio and driveway ideally from mould, algae, dust, tyre marks, and our professional cleaning will help bring back the lives in them. No matter what they are made of – concrete, paving slabs, tarmac, printed concrete, natural or re-constituted stone, or any other material, our cleaning products and machines can help to all of them. Our company is known to be the best in Acton W3, in providing such services, and we are inviting you to try it. We have what it takes to prove you that it is true. Hire our fairly priced and very convenient, and efficient patio cleaning service. You will not be disappointed in our results, we promise. What you will get from us will be a perfectly cleaned patio and driveway. Give us a call now.